Upgrading your countertop is definitely an essential step if you’re ready to invest in your interior home design. Depending on what you’re looking for, there are plenty of countertops to choose from. If you live by the rule of “go big or go home,” however, the most expensive countertop will be a tempting choice for you. So, let’s take a look at some countertops that are worth the high cost. At the top of the list, we’re looking at Pyrolave’s enameled lava countertop. This countertop costs about $250 to $300 per square foot, a price that’s well above other countertop materials. For most people, the high cost of Pyrolave countertop will be a deal breaker. However, for other homeowners, the advantages of having enameled lava countertops easily outweigh the disadvantages. An in-depth look at this unique countertop will let you know whether or not it’s the right choice for your home. One of the best things about Pyrolave countertops is the wide variety of color options available. Even the most unique color choices are available in Pyrolave’s countertop selections. Or, if you enjoy more traditional colors, Pyrolave has options for you also. This stylish home makes use of one of Pyrolave’s more versatile countertop colors, a glossy white that fits in with the contemporary look of the kitchen. It coordinates with the white kitchen and highlights the light wood theme excellently. However, this countertop color would be a great addition to a kitchen with a darker theme as well, creating an unbeatable contrast. Feeling ready for a less standard countertop color in your kitchen? 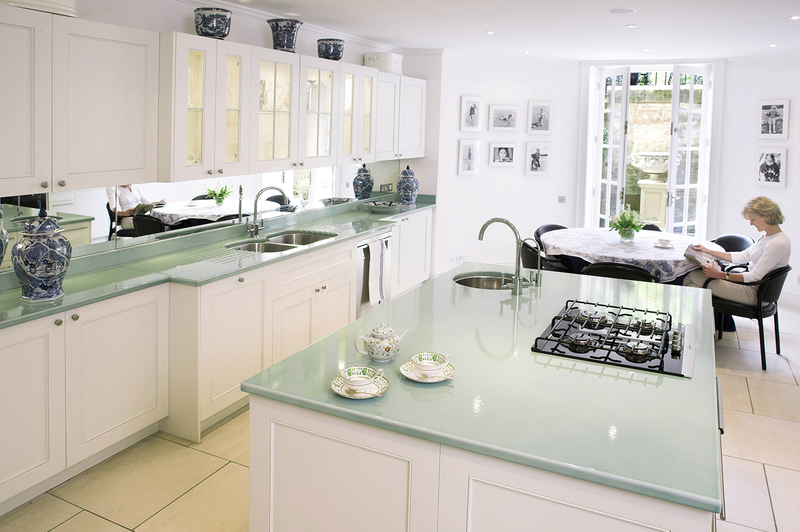 Pyrolave also sells a whole range of atypical countertop colors, like this refreshing mint green. You’ll be able to let your creative side loose and choose the color that suits you best with Pyrolave countertops. Keep in mind, however, that these enameled lava countertops last a very, very long time – so choose wisely. A color that you’ve fallen in love with is a better option than one that you’re not absolutely sure about. If enameled lava isn’t for you, there are some other high-end options that you should consider. For example, some of these expensive kitchen designs feature marble or granite countertops, which are both considered rather high-end materials. Check out some details for a closer look at these two beautiful countertop materials. Marble is one of the more expensive types of countertop materials. 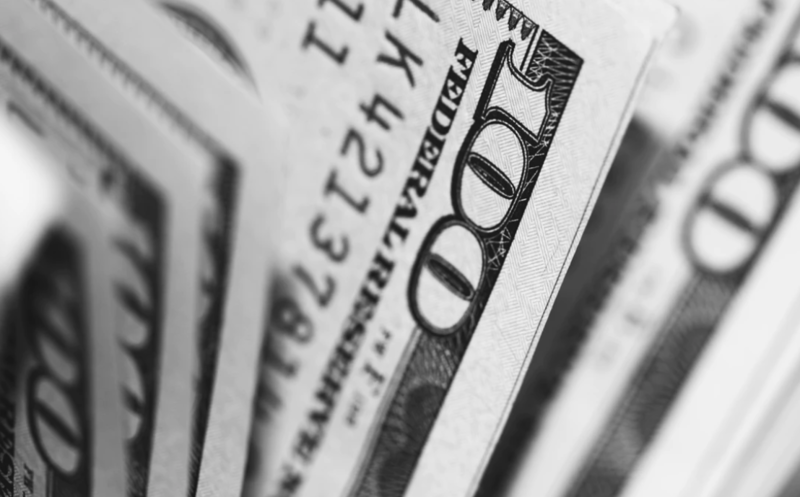 At its most expensive, it can cost as much as $100 per square foot. For many homeowners, however, its incredible beauty more than makes up for its potentially high cost. While marble is most often purchased in black or white shades, there are other colors available – blue and gray are two of the most common. Honestly, it’s hard to go wrong with marble. Any color of this beautiful natural stone provides a classy elegance for a kitchen or other room. Additionally, marble boasts a natural pattern throughout its surface. “Veining,” as the unique style is known, is an attractive pattern that’ll give any room a style boost. While marble is near the top of the list in terms of beauty, it’s not exactly the most practical material for everyday use. It’s vulnerable to stains and scratches due to its soft, porous nature, and protecting it from direct contact with severe heat is advisable. In other words, if you choose marble countertops for your home, prepare to protect them. 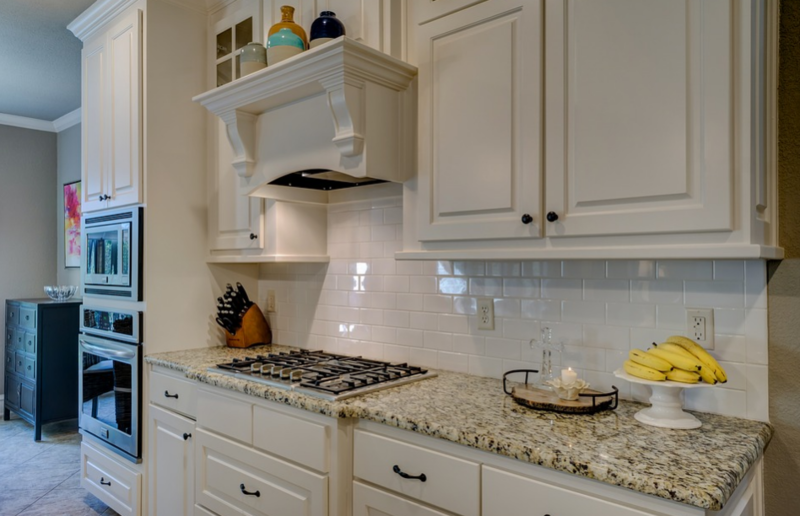 As one of the most popular countertop materials available, granite is an option you shouldn’t overlook. Like marble, granite isn’t always a huge expense in all its forms. However, it’s one of the most expensive countertop materials at its highest cost, reaching up to $200 per square foot. It has some obvious benefits that contribute to its popularity, as you’ll see. Granite countertops are a standard in terms of high-end countertop materials. Classy but more practical than marble countertops, granite will make a statement about your home right away. Available in plenty of colors, granite countertop typically has a distinct pattern, although some unique designs exist. One way or the other, granite countertops will go with most kitchen styles. Granite is a sturdier countertop material than marble. It’s more heat-resistant and less likely to scratch or stain. Therefore, many would consider it a more practical countertop material to invest in. However, keep in mind that granite isn’t 100% resistant to heat, scratches, and stains, and it also requires more maintenance than some homeowners feel like keeping up with. At the end of the day, what’s most important is that you’ve chosen the countertop that works best with your personal color scheme and style. 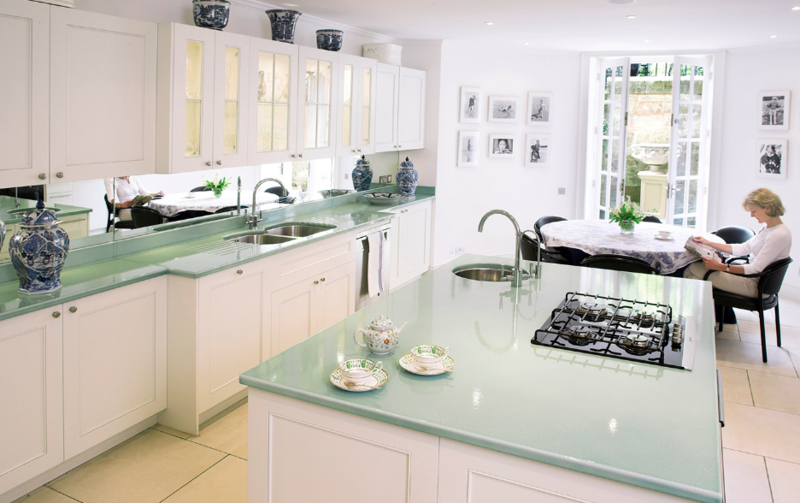 So, if the most expensive countertop works best for your home, go for it! Enameled lava is both a stylish and practical choice all at once, and in this case, we think the benefits definitely outweigh the cost. What really matters, though, is what you think – so don’t be afraid to give it a try!